The Kings have lost two in a row after a 4-2 defeat Friday to the rival Ducks at the Honda Center. They had won eight in a row after losing 10 of 12 during a dismal stretch that threat their playoff chances. Consistency, or lack thereof, is a legitimate question for the 2014-15, particularly after a game like Friday’s. Kings captain Dustin Brown didn’t want to touch the topic, however. Andrej Sekera, the newest member of the Kings’ defense corps, made his debut Friday against the Ducks at the Honda Center. It was all but lost in the Kings’ 4-2 defeat to the Ducks, but Sekera was scoreless in 21 minutes, 32 seconds. He did not record a shot on goal and was on the ice for Ryan Kesler’s goal for the Ducks. He also was on the ice for a second-period shift that lasted an astounding 3:41 as the Ducks pressured the Kings and kept them hemmed in their own zone. Sekera played alongside Robyn Regehr, reuniting with his frequent defense partner when both were with the Buffalo Sabres. The Kings acquired Sekera on Wednesday from the Carolina Hurricanes, giving up a conditional draft pick and a prospect in order to gain speed, skill and depth on defense with Alec Martinez sidelined by a concussion and Slava Voynov suspended indefinitely by the NHL because of a domestic violence incident in his Redondo Beach home Oct. 20. The Kings assigned defenseman Derek Forbort to their American Hockey League team in Manchester, N.H., on Friday. Forbort did not play in a game for the Kings, but was used in case of emergency, what with Alec Martinez sidelined indefinitely by a concussion and Slava Voynov suspended indefinitely by the NHL because of a domestic violence charge. Justin Williams wasn’t convinced a quick whistle that wiped out his potential second-period goal was what cost the Kings in a 1-0 loss Thursday to the Ottawa Senators. It might have made things different, but it wasn’t what turned the game in the Senators’ favor and, ultimately, ended the Kings’ eight-game winning streak. Andrej Sekera, the newest King. 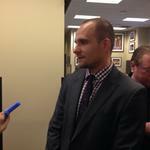 Andrej Sekera met with reporters during the Kings’ game Thursday against the Ottawa Senators. He wasn’t in the lineup, but said he would play in Friday’s contest against the Ducks. Here’s some of what he said about his trade Wednesday from the Carolina Hurricanes. Question: Where were you when you heard the news? Q: How did you deal with trade rumors and are you relieved the deal is done? Q: What have you heard about your role? The Kings on Wednesday afternoon acquired the puck-moving, offensive-minded defenseman they’ve lacked since Slava Voynov was suspended indefinitely by the NHL over a domestic violence charge involving his wife in October. 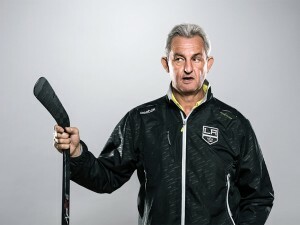 They gave up a prospect and a draft pick in order to get Andrej Sekera from the Carolina Hurricanes, another bold move by Kings general manager Dean Lombardi in a week that’s already seen two players signing long-term contract extensions. Sekera had 19 points, including 17 assists, in 57 games for the Hurricanes this season. He has 155 points in 470 career games in the NHL, playing the most recent 131 contests with the Hurricanes. He also played with the Buffalo Sabres during a nine-year career. To get Sekera, a 28-year-old Slovak, the Kings sent prospect Roland McKeown and a conditional draft pick to Carolina. McKeown, 19, was the Kings’ second-round pick (50th overall) in the 2014 draft. The pick was acquired in the deal that sent Linden Vey to Vancouver. Tuesday, Lombardi signed physical forward Kyle Clifford to a five-season contract extension worth an average of $1.6 million. Monday, Lombardi signed another hard-nosed forward, Jordan Nolan, to a three-season extension worth an average of $950,000. 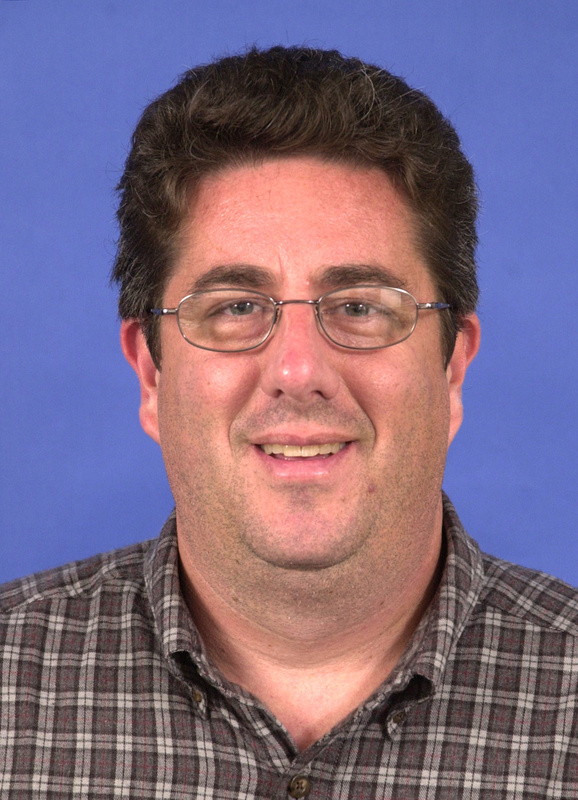 Lombardi was scheduled to speak with reporters later this afternoon.